This Yorkshire Terrier - Yorkie nicknamed Golden Gloria sold and went to a new family. 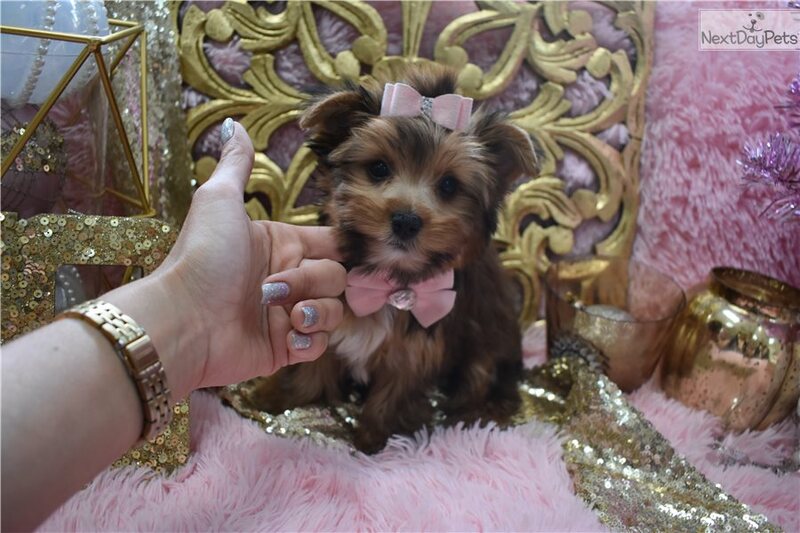 "GOLDEN GLORIA $2500 STUNNING GOLDEN FEMALE TINY TOY FEMALE YORKIE, SHORT COBBY BODY, THICK GOLDEN COAT, BUTTON NOSE AND THICK COAT, VERY SWEET AND VERY LOVING LITTLE GIRL, LOVES TO FOLLOW YOU AROUND. LOVES TO SLEEP NEXT TO YOU AND GIVE LOTS OF KISSES. YORKIEBABIES.COM 954-324-0149 WE DELIVER AND WE ACCEPT CREDIT CARDS AND ALSO PROVIDE FINANCING.